Conflicts over laws and regulations, like the hand-wringing over the expenditure wasted on cute costumes or gourmet foods, reveal that we have still not reached a consensus about the meaning and role of pets in our lives. —Ingrid H. Tague, Animal Companions: Pets and Social Change in Eighteenth-Century Britain, 13. To understand how pets were and are defined, it is first necessary to know how the human-animal bond was constructed during the periods in question. Additionally, it is important to trace the factors that led to the development of pet keeping. The words and characteristics used to define concepts are also vital to understanding the attitudes of the period. Through the analysis of dictionary entries, the works of natural philosophers, the children’s tale Fabulous Histories, this page discusses these foundational concepts as an introduction to the exhibit’s larger question, how are pets defined in the eighteenth and twenty-first centuries. 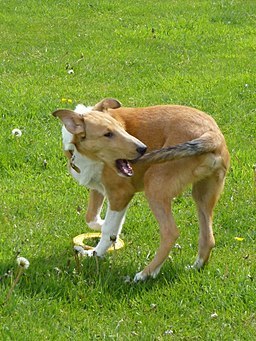 Today pets commonly have access to and/or live in the house and have a unique name. These same characteristics were present in the eighteenth century. Using the children’s story “Caesar and Pompey” and the novel Gulliver’s Travels, this page discusses the importance of these notions in addition to those of temperament and domestication and their significance in defining pets. Pets and consumerism are intricately tied. The rise of consumerism in the eighteenth century played a crucial role in the development and spread of pet keeping. This spread led to the creation of specialty pet products and services, a trend that continues today with stores like PetSmart. Using period advertisements and passages from the novels Betsy Thoughtless, Robinson Crusoe, Pompey the Little, and Gulliver’s Travels, this page analyzes how pets were and still are major economic consumers. Animals are bought and sold every day as pets by breeders, individuals, and pet stores alike. These animals include "common" pets such as dogs and cats which are often "designer breeds" like maltipoos or labradoodles. Additionally, exotic animals like primates, reptiles, and big cats are sold, often illegally. 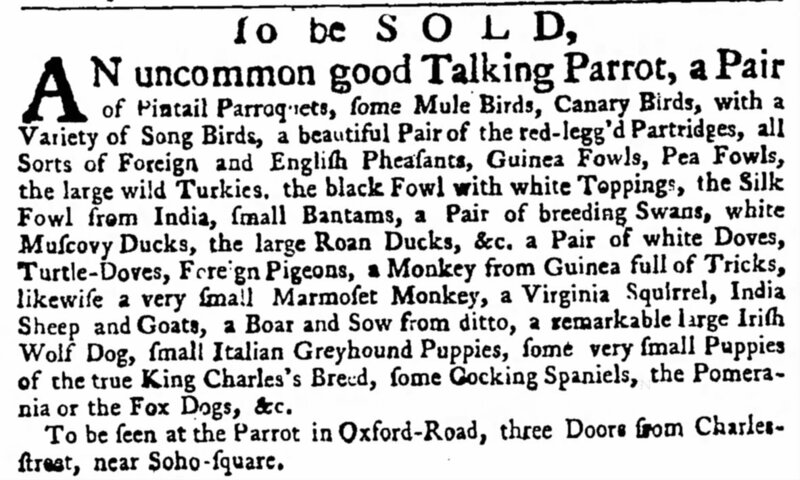 Using period advertisements, this page analyzes the same commercial pet trends of the eighteenth century. Concerns surrounding the sexuality of young women, their interest in and formation of relationships with males, and the expenditure of their reproductive energies abounded in the eighteenth century. These anxieties were strongly connected to ladies and their lapdogs, wherein it was feared that ladies used lapdogs as improper surrogates for such. The prevalence of lapdogs in poetry and novels, such as Pompey the Little, therefore shows the prominence of such fears and criticisms. Using this “lady and the lapdog” trope, this page analyzes eighteenth-century perspectives on such issues in addition to their modern antecedents, including stroller dogs and crazy cat ladies. Today pet owners are commonly referred to as “pet parents” and pets as “fur babies.” Such ideas of familial relationships between pet and owner are tied to those of “pets as surrogates” but tend to be less critical. Using Robinson Crusoe as the primary literary example, this page analyzes the development of deep bonds between pet and owner. This final page ties up the exhibit by drawing connections between the ideas presented in previous pages to analyze how pets were and still are defined and how such definitions provide insight into the overarching question of why were pets important in the eighteenth century and why they continue to be relevant in the twenty-first century. “U.S. Pet Industry Spending Figures & Future Outlook.” Pet Industry Market Size & Ownership Statistics, American Pet Products Association www.americanpetproducts.org/press_industrytrends.asp. Redmalm, David. Pet Grief: When is Non-Human Life Grievable? The Sociological Review, 63, 2015, pp. 19-35, 20. Grier, Katherine. Pets in America: A History. The University of North Carolina Press, 2003, 13-16. Tague, Ingrid H. Animal Companions: Pets and Social Change in Eighteenth-Century Britain. The Pennsylvania State University Press, 2015, 5. 1Dixon, John. 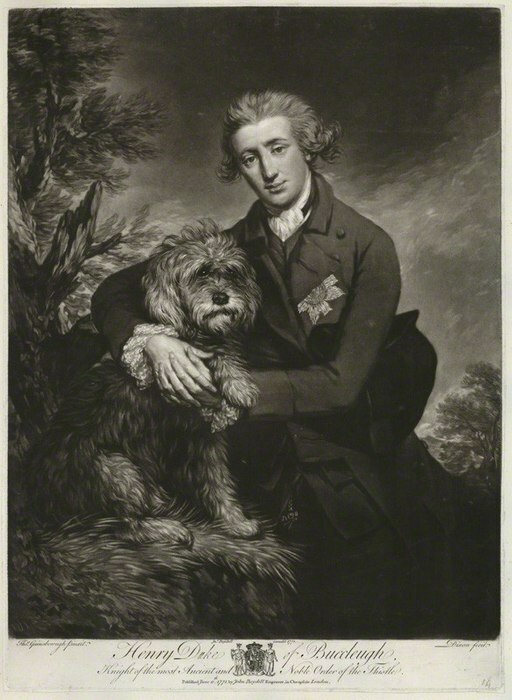 “Henry Scott, 3rd Duke of Buccleuch with His Dog after Thomas Gainsborough.” Wikimedia Commons, 17 Dec. 2012, commons.wikimedia.org/wiki/File:Dixon_-_Henry_Scott,_3rd_Duke_of_Buccleuch.jpg. 2Boucher, François. 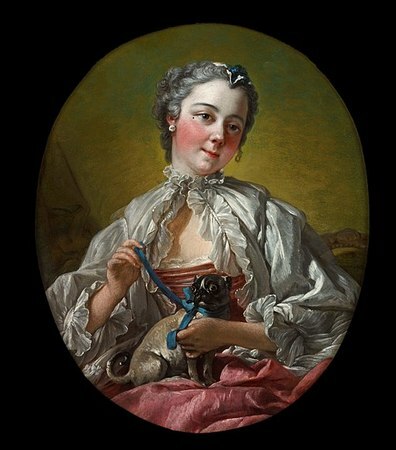 “A Young Lady Holding a Pug Dog.” Wikimedia Commons, 17 Oct. 2012, commons.wikimedia.org/wiki/File:Fran%C3%A7ois_Boucher_-_A_young_lady_holding_a_pug_dog_-_Google_Art_Project.jpg. 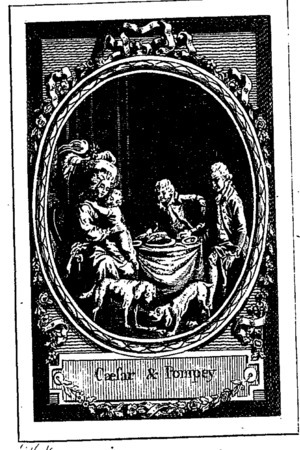 3“Caesar and Pompey.” Eighteenth Century Collections Online, British Library, find.galegroup.com.dist.lib.usu.edu/ecco/infomark.do?&source=gale&prodId=ECCO&userGroupName=utahstate&tabID=T001&docId=CW3312013598&type=multipage&contentSet=ECCOArticles&version=1.0&docLevel=FASCIMILE>. 4Copley, John Singleton. 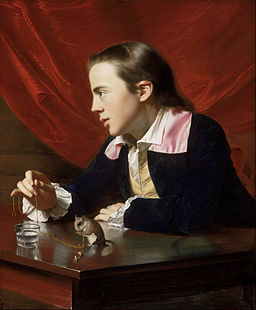 “A Boy with a Flying Squirrel (Henry Pelham).” Wikimedia Commons, 17 Oct. 2012, commons.wikimedia.org/wiki/File:John_Singleton_Copley_-_A_Boy_with_a_Flying_Squirrel_(Henry_Pelham)_-_Google_Art_Project.jpg. 5“Clipping from Page Three of The Public Advertiser 09 Jan 1759.” Newspapers.com, www.newspapers.com/image/34408595. 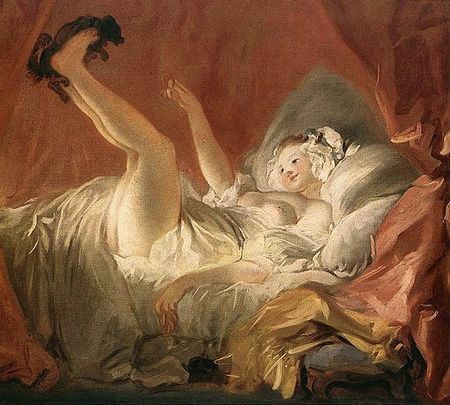 6Fragonard, Jean Honore. “Young Woman Playing with a Dog.” Wikimedia Commons, 1 Sept. 2009, commons.wikimedia.org/wiki/File:Jean_Honore_Fragonard_Young_Woman_Playing_with_a_Dog.jpg. 7Lydon, Alexander Frank. 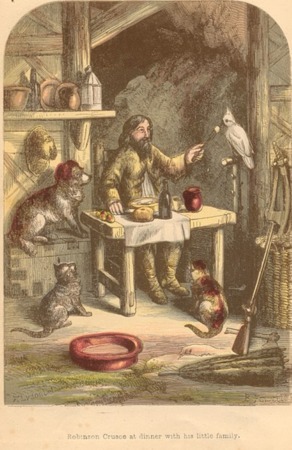 “Colored Illustration Depicting Crusoe and His Pet Family Eating Dinner .” Wikimedia Commons, 25 Feb. 2012, commons.wikimedia.org/wiki/File:A._F._Lydon_Robinson_Crusoe_Plate_06_(1865).JPG. 8Lil Shepherd. “Chasing His Tail.” Flickr, 16 May 2012, www.flickr.com/photos/lilshepherd/7209126530.